Core M seems to be a mixed bag. Great if you want short bursts of activity but fails when you demand any longer activity, especially a GPU one. Fine for netbooks, but spending 1k+ to get a tablet class of performance seems pointless to me. XPS 13 has better performance and normalized battery life. What is wrong with Yoga? The performance of the core M 5Y71 parts is leavig me feeling a little bit better for a potential core m SP4. Still, this was with a fan - fanless performance is sure to be worse, and if you have a fan you might as well use the full voltage part! I've never really understood Core M and its value proposition. Maybe current applications aren't optimal. Since ^this ultrabook has a fan, I just can't seem to understand why they didn't wait it out a bit and went with a cheaper Broadwell U that races to sleep much faster. In that aspect, Dell got it right with their XPS 13. 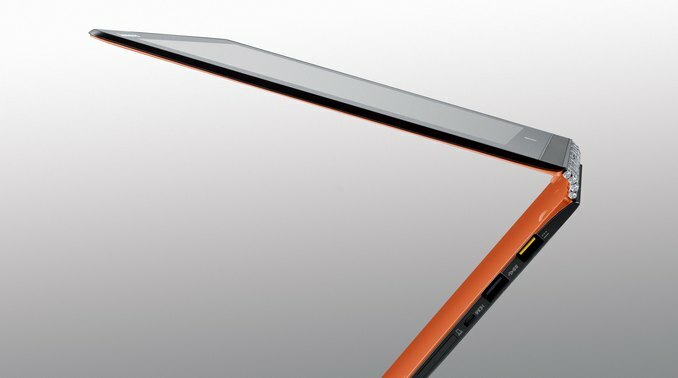 No one talks about how thin this device is, especially that it's thinner than Apple's new MacBook. I can't even justify the price to performance ratio even for a fanless Windows x86 tablet. Microsoft should stick with Broadwell U for the SP4 to maintain a performance upgrade at the least. How do you get that it's thinner than new Macbook? I don't know, performance is one thing, but if all you are doing is Office work, maybe some web surfing and casual games, Core M's proposition is ideal.